Yep, I really don't get it. On Sunday, I gave a rundown of what I was expecting from this sequel/reboot/thing. I wrote it in promise that we would see a first trailer on Thanksgiving. Well, I suppose Universal has decided to showcase the trailer early. 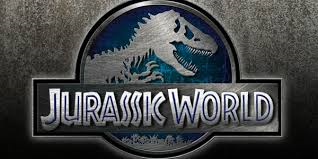 We finally have laid eyes on the trailer for "Jurassic World." I'll say that I think its kind of cool that the new park looks more like an amusement park, and I think that could be fun way to approach this new movie. I also like the idea of a hybrid being a main stable of the storyline for this movie. However, much of the trailer pointed to this being another "dinosaurs go bad" movie, which has been every single movie in the entire franchise. Please don't tell me Universal took all this time just to make the same movie they have made three times before. Universal and Spielberg can throw the acting chops of Chris Pratt, Judy Greer, and Bryce Dallas Howard at me all they want, but if its the same formula a fourth time, I'm going to loose interest quick. I will say one thing, Pratt going into hunting mode with a band of raptors looked pretty cool. What did you think?